Introducing the perfect answer for cars equipped with electronic shocks. H&R VTF Adjustable Lowering Springs are sport springs with more – more lowering, more features, more personalization. 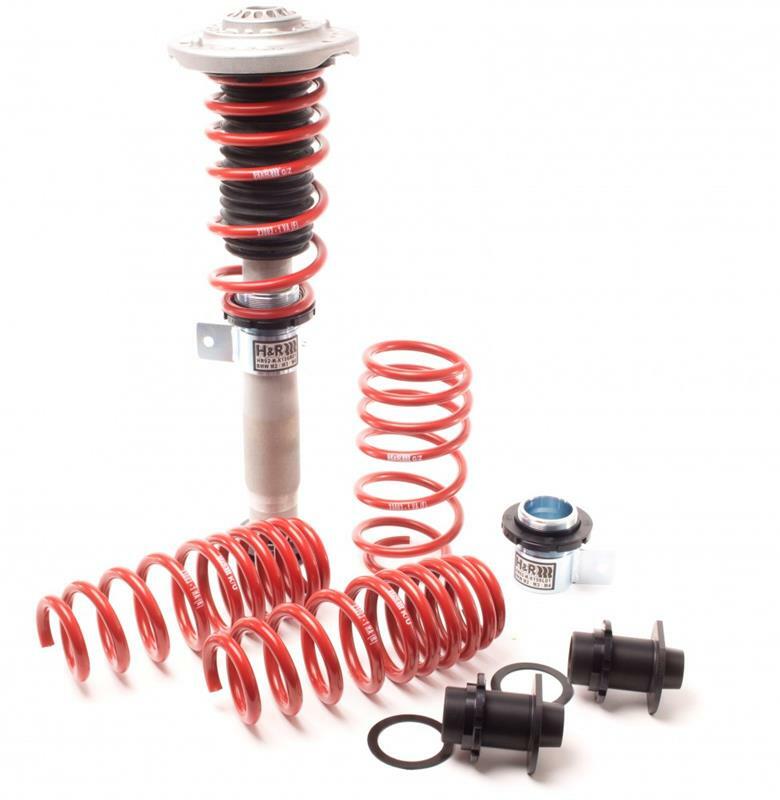 Lower your vehicle with world-renowned H&R Sport Springs and have the advantage to fine-tune lowering to your own taste. Adjustable down to the micro millimeter and with an average lowering range of 0.30 – 2.7” depending on application, your stance can now be as unique as you are. (Verstellbar TieferlegungsFedern) are specifically designed and tuned to work with factory damping for superb ride and great handling. All H&R components are crafted for strength, resiliency, and durability, and are 100% made in Germany.